Vegan Crab Cakes without crab? Why not call them something else? I know the title could be a little confusing, or even annoying to some people (that’s not my intention). However, since it’s a mock version of the original recipe, the title helps people find it easier online. I’ve had people suggest that I call them Hearts of Palm Cakes or Bean Cakes, but there’s a reason that I don’t. As a blogger, I have to title my recipes so they are easily searchable through Google. Otherwise, there will be crickets around here and nobody will see my recipes. So, I have to do my own research first before selecting a title and it’s not an easy task. 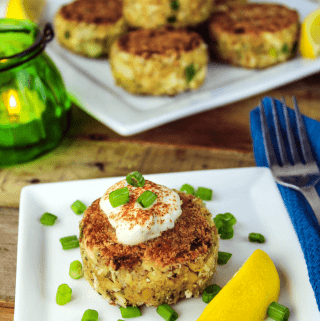 Believe it or not, MANY people are searching for Vegan Crab Cakes and just a handful are searching for Hearts of Palm Cakes. And NOBODY is searching for Bean cakes!! So, that’s one of my reasons for my title choice, for anyone who might be wondering. Another reason, I always hope it will grab a non-vegans attention while searching for the original recipe. Maybe it will tempt them into trying it. No harm done, right? I also have an Un-Tuna Salad Sandwich on the blog. It’s very similar to tuna but much healthier and kinder. You’ve gotta try it! Why do vegans eat food that looks like meat? Many of us grew us consuming meat in a variety of dishes. Lots of memories are attached to them and that’s what we are familiar with. It’s not the meat itself we are missing, It’s the textures, flavors, and seasonings that are palate is used to. We just don’t want to hurt animals for our taste buds anymore. So, if we can recreate that experience without harming non-human friends, why wouldn’t we do that? Lots of people who say they love the taste of meat, have never tasted it plain, without seasoning. I used to say the same thing, but after going vegan, I I realized my “cravings” were coming from the smells and flavors of the herbs and spices. Also, recipes like this make it easier for some people to transition from meat-eating to vegan. It surely helped me! So basically, you can still have an enjoyable dish from your past, and leave your friends in the ocean…where they belong. Sounds like a good deal to me. Some vegans don’t want to eat anything that reminds them of meat and that’s perfectly normal too. We are all different and have separate journeys, but the one thing we share in common is that we don’t want to harm animals. I’m from Long Island and I grew up eating many seafood dishes, but my favorite thing to order was crab cakes. They were very popular on the East Coast and especially in Maryland, where they are known for the best crab cakes. It was a bit of a drive to get there from Long Island, so I settled for the crab cakes near home. However, I did make it out to Maryland a few times and ordered those famous cakes each time. Yes, they really were THAT good! Being vegan now, I don’t see any reason to miss out on those wonderful flavors, textures, and seasonings since I can enjoy them in a cruelty-free way now. I can’t claim that these taste exactly like a traditional Maryland Crab Cake. Those chefs have a way of making the recipe with as little breading as possible but still manage to get it to your plate in one piece. I did try to make them this way, but the method was frustrating and took much longer. So, I wanted to make these taste as traditional as possible, but also make them easy to prepare. Keeping it simple is good. What’s in a Vegan Crab Cake? Well, I use Hearts of Palm which have a very similar texture to fish when it’s broken up. It doesn’t taste like crab, but that’s where the seasonings come in. I also used garbanzo beans which have a flaky-like texture when broken up. They also add a nice dose of protein to the recipe. So, basically, these two ingredients will be replacing the crab meat and create that flaky and stringy texture. Now for the seasonings, I kept them as traditional as possible, and they are very basic ingredients. I used Old Bay Seasoning, Vegan Worcestershire Sauce, parsley, garlic powder, salt, and pepper. If you can’t find Old Bay Seasoning, you can use any basic seafood seasoning. Also, there have been times that I left it out altogether and they were just as delicious (you might need to add a little more salt though). I use Kelp Granules or Dulse Flakes to give these cakes a subtle hint of the ocean. If you can’t find those, you can break up a sheet of Nori or use any type of seaweed. It’s not needed but adds a nice flavor and natural source of iodine to the dish. For the rest of the ingredients, I used vegan mayonnaise, mustard, lemon juice, breadcrumbs and some fresh green onion. You can also add some celery, corn or bell pepper to change it up a bit. I did use some oil to pan-fry them which doesn’t make them über healthy. However, I use minimal oil and only use a high smoke point variety…like coconut, avocado, grapeseed, safflower or sunflower oil. The oil won’t turn rancid under the heating process. If you want to make a healthier version of this dish, you can definitely bake these. Just set your oven to 400 degrees F. and bake about 8-10 minutes on each side. Make sure to lightly grease your baking sheet too. If you make these Vegan Crab Cakes, I’d love to hear what you think in the comment section below. It would really make my day. You can also follow me on Instagram and share your creation with me. Just tag me @veganhuggs and hashtag #veganhuggs so I don’t miss it. 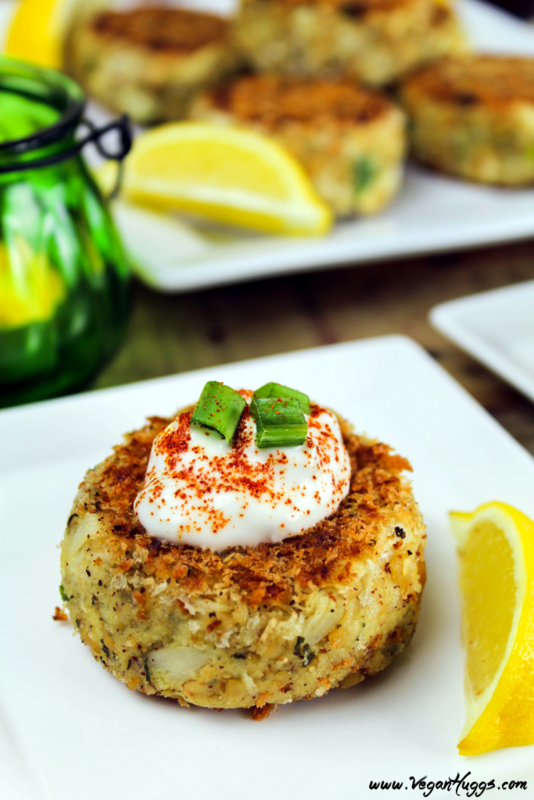 These Vegan Crab Cakes are crunchy on the outside, yet moist and flaky on the inside. They can be enjoyed as an appetizer, side or a main dish. In a food processor add the garbanzo beans and hearts of palm together. Pulse just a few times to break it up. Don't pulse too many times or it will turn to mush. It should have a crab-like consistency. You can also do this manually, just use a fork or your hands to shred everything up. Set aside. In a large mixing bowl, whisk the reserved liquid (from the beans) well, until it's slightly foamy. Then add the vegan mayonnaise, lemon juice, Worcestershire sauce, mustard and all the dry seasonings. Whisk to combine well. Now add the bread crumbs, green onion, and hearts of palm and garbanzo bean mixture. Gently fold to combine. Taste for salt or seasoning, add more if needed. Pop the mixture in the freezer for 20 minutes. This helps the mixture stay together a bit better. Place enough breadcrumbs onto a shallow plate that will coat patties evenly. Take mixture out of freezer. Place about 1/4 cup of mixture into your hands to form a ball. Then gently flatten to form it into a patty shape. Coat patty in the bread crumbs on each side. Place aside and continue until the mixture is gone. Heat a large skillet over medium heat (about 2-3 minutes). Add about 2 tablespoons of oil and wait until it gets hot and shimmery before adding the patties. If you place the patty in the pan, and you hear it sizzle, it's ready. Place about 4-5 patties on your pan at one time, but make sure you don't overcrowd the pan because they won't cook properly. Pan-fry them about 3-4 minutes on each side, or until light golden brown. Try to only flip each patty once. When done, transfer the patties to a paper towel-lined plate to absorb excess oil. Wipe out pan before the uncooked patties are added. Add fresh oil and continue until all patties are complete. Serve hot with vegan tartar sauce, a lemon wedge and top with chopped green onions. Enjoy! This recipe yields 10-12 cakes, using about 1/4 cup of mixture for each one. If you can't find kelp granules, you can use dulse flakes, dulse granules or break up a small piece of nori. If you don't want the ocean-like flavor, you can omit the seaweed altogether. It will still be delicious! If the mixture is too wet for your taste, AFTER it comes out of the freezer, you can add a 1/4 cup of breadcrumbs into it. Combine well. The prep time doesn't include the 15-20 minute freezing time. If you can't find vegan Worcestershire sauce, you can use low-sodium tamari or soy sauce. *Note: in the video above, it shows the hearts of palm sliced before going into the food processor. I prefer to just cut them in half to keep larger pieces in the mixture (for a flakier texture). Really, REALLY delish. Thank you! Has anyone tried freezing the “batter” for a few weeks? I love these but wonder if they are freezer friendly? I made these for dinner and they were a huge hit! Made these yummy cakes for dinner and I thought they were delicious! This is coming from a “Marylander” who was known for her crab cakes.. pre-vegan days LOL. I will say the next time I make them I’ll use only 2Tbs of lemon juice instead of 3, and I’ll only pulse the food processor a few times. I may have over pulsed but they still turned out pretty good! This will be my go to recipe for sure!! I just made this tonight! I was honestly really surprised! It was delicous! Great flavor and texture! Love the ingredients so creative! I did bake mine and the flip was a little tough but all but one had some trouble. My husband said “this is on point”! We have been vegan about 6 months and we usually eat a lot of bowls so this was such a nice change!!! If your unsure about this … make it!!! Thank you!!! 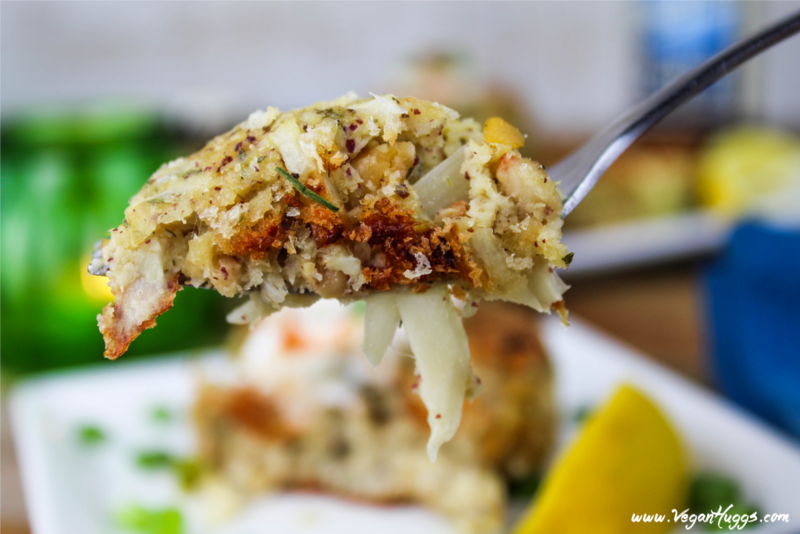 I’ve tried several vegan “crab cake” recipes and this one is by far the best. I used a tbs, of nori I had coarsely ground instead of the kelp granules and I kept the bean/HOP mixture in the fridge till I was ready to use it so I didn’t need to freeze it 20 minutes prior to shaping into cakes. It really held together well. These are absolutely delicious and my adult children and teenage grandchildren thought so too. Thanks for a brilliant recipe! Can these be made into a mini version for an appetizer? Can they be cooked ahead and re-heated? Thank you so much for this recipe! It was my second time making them, I made them last week for my moms surprise birthday party and she absolutely loved them (she said she thought they were made from real crab at first..lol). I used my air fryer to cook them and they came out great, the bread crumbs on the outside were nice and crispy. I am looking forward to the leftovers today! 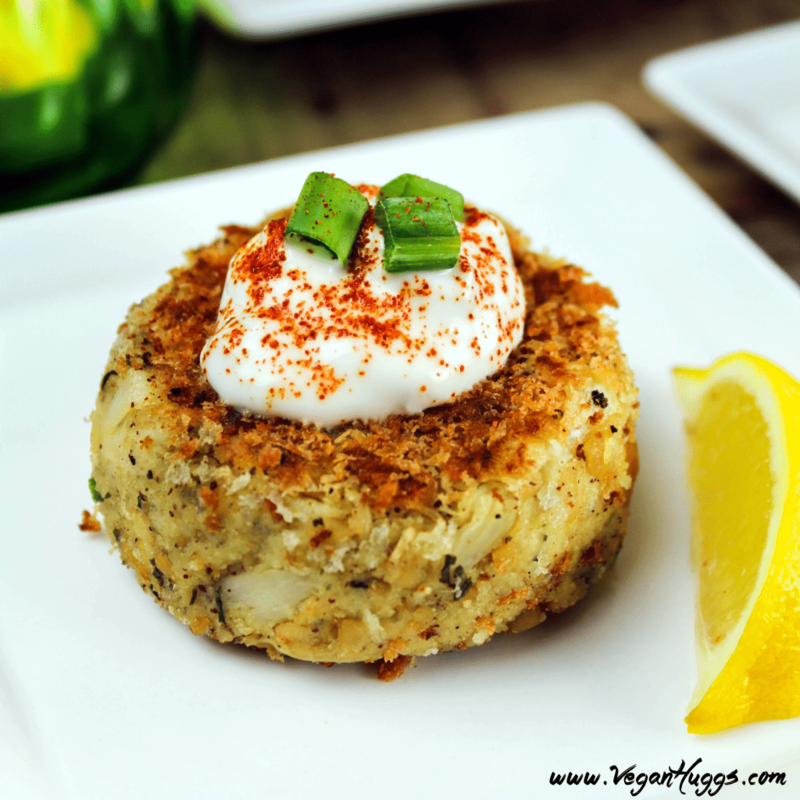 This is my go to vegan crab cake recipe! Thanks again! We became vegan in April after my husband had a heart attack. (he’s doing great now) The crab cakes were fantastic and that’s saying a lot because we live on the eastern shore of Maryland! Thank you.. This is a wonderful recipe. I’m no kind of cook, but this was easy – worked like a charm – and the result was perfect crab cakes – crispy on the outside, tender and flaky on the inside. I don’t like to fry in oil, so I baked them. Also, I had some chickpeas (cooked from scratch two days ago) but no bean broth, so I subbed homemade veggie broth with a TBS of ground flax seed whisked into it. 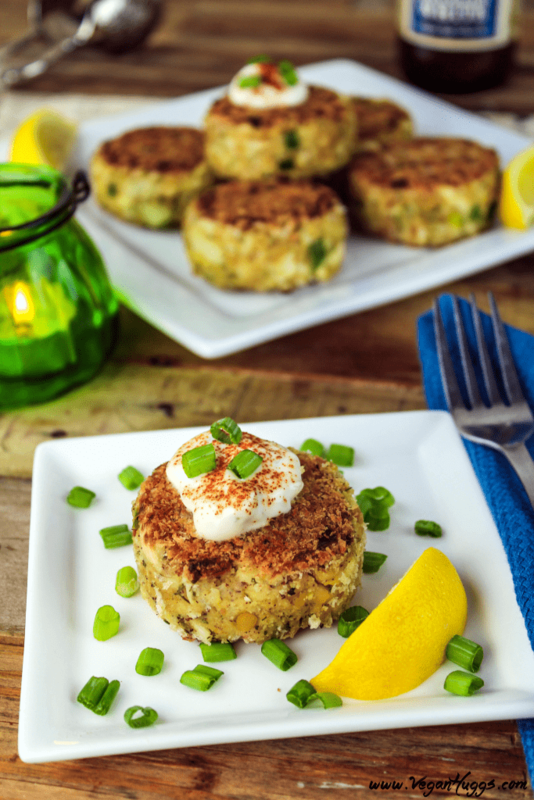 This recipe is a keeper – and the crab cakes will be great for meals with our not-yet-began friends and family members, especially since the recipe makes enough for 6 or 7 people to have two crab cakes apiece. Now I want to try the vegan tuna recipe . . . . Came here from youtube channel Sarah’s Vegan Kitchen. These were AWESOME!!!! And crazy filling. Fed my family of four (including teenage stepson) and had a second meal worth to stash in the freezer. We were all stuffed. I’m eating Keto and was wondering what I could substitute the beans with. Thank you! I plan on making these tonight!! I used coconut flour and hemp seeds. It was great. My family loved it. We really enjoyed these; I did them in the oven. I can see what some other people said about it being a little too tart, so next time I might omit the mustard. I did not have dried parsley, so I used 1/2 the amount of dried basil instead. I did also use the trick of putting them under the broiler but lightly sprayed a bit of olive oil cooking spray to give it a pseudo-fried taste. I will definitely be making these again – it was the first time I had tried cooking with hearts of palm. A friend has highly recommended these so I plan to make and take them to a dinner party. How much can I do in advance? Thank you for calling this a crab cake recipe! 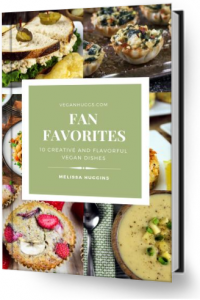 Of course we know it isn’t… As someone new to full-time veganisim, I am looking for recipes that help me be part of the “family table” when I sit down with friends. I want them to not be stressed out by my decision to live cruelty-free and also to see that its not hard to do. They had crab cakes tonight and I wish had had something in the freezer I could pull out and bake to eat along side them. Speaking of which, will these freeze? You’re so welcome! Recipes like this helped me transition so much easier, and I’m so happy they are helping other people too. Yes, they freeze really well, so you can take them out as you need them. Thank you for stopping by! Have a great week! I love this recipe. Made these 5 times for BF & he loves them. I used hearts of palm & artichoke hearts 50/50 & they turned out great! Making a batch now!